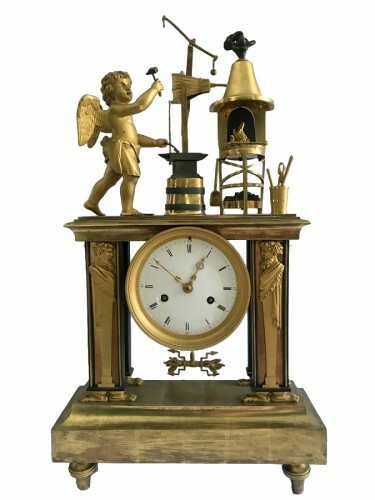 Portico clock, by Henri Voisin, at the time of french revolution. 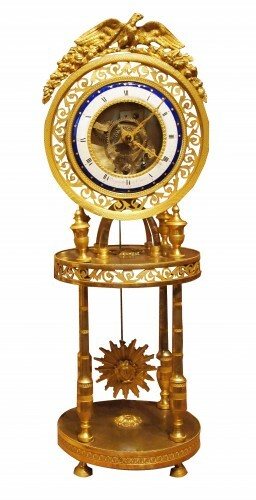 The date of 1791 is engraved on the mechanism. 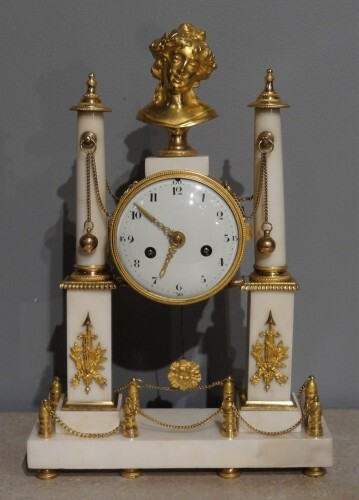 The dial takes the system of counting days, used under the French Revolution. 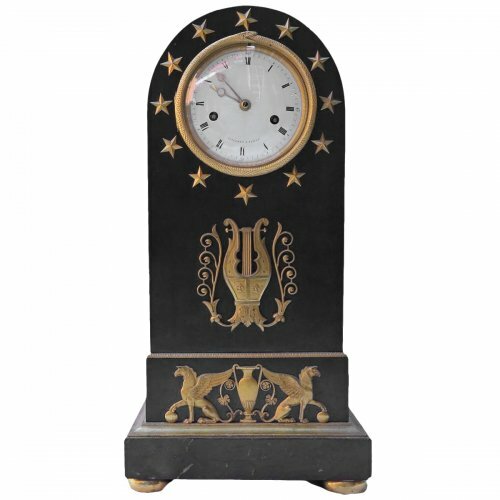 Beautiful marble bench clock, embellished with gilded bronze decoration on the pillars. 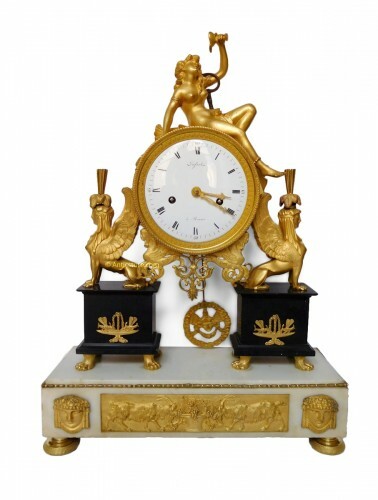 The pediment is composed of a dial decorated with gilded bronze laurel leaves and is surmounted by a cup. 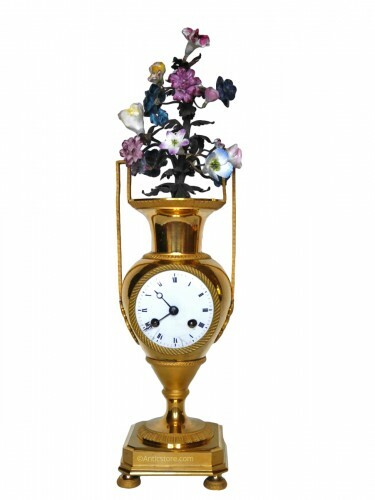 Pendulum in working order, the pendulum is provided.